About us | AK Plast s.r.o. We are a specialized company active in the plastics business, with tradition dating back to 1995. You will find a wide range of plastic products in our offer – plastic sheets, plastic rods and bars, plastic profiles, welding wires, machined parts and segments and finished products for industry, advertising, construction, home+garden and DIY. 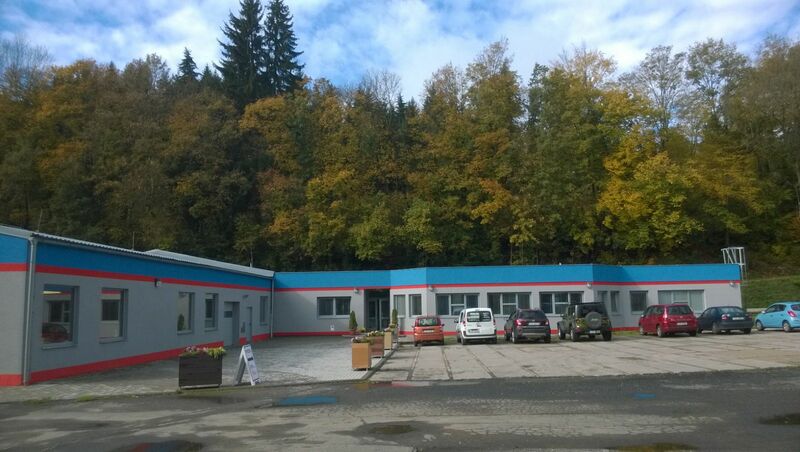 Our strong position in the market is based on the wide portfolio of high quality and at the same time affordable products, qualified and friendly staff, developed manufacturing-sales capacities in premises of 10 thousand square metres, and favourable logistic position in the very centre of the Czech Republic, less than 10 miles from D1 highway. Our activities in the Slovak market are realized via our subsidiary AK Plast Slovakia s.r.o. with HQ in Bratislava. Outside Czech Republic and Slovakia we export our products to many other European countries (e.g. Austria, Germany, Denmark, Romania, Bulgaria, Ukraine, Russia etc.). Apart from standardized products we can give you a flexible and attractive offer of small series and custom made production of plastic sheets in specific required sizes, various welded and machined parts and products, such as machine components, bars, drip trays, lids, tanks or pits for chemicals and water, or design plastic products. All the plastic sheets and rods from our production can be processed according to your specifications by precise forming, welding, bending, gluing, drilling, CNC, laser burning and other technologies. We are interested in building up long term, mutually beneficial business relations with our partners, based on the principles of fair cooperation and respect for transparent and decent conduct. We perform all our activities with due diligence, investing the values created in further development of the company for the benefit of our customers. In our work we put an emphasis on observance of the applicable laws, on social responsibility and protection of the environment. We enjoy our work and we do it well. Since the very beginning we have been enthusiastic about what we do, flexible, committed to deliver high quality, with dedication and mainly ability to be always on hand and listen to our customers’ wishes, ideas and requirements. We follow the motto of the Knights Templar “In servitute alteris liberi sumus“ (We are free when serving others”), and the service we provide makes us content and happy every day! We believe you will also be satisfied with our products and services, and come back to us gladly again and again!